to higher ground should conditions warrant. Good Saturday Morning Folks! !..well dogs walked and for the first time in awhile i can see the moon and the early morning dark sky is clear,but we all know the clouds and rain will be coming once again later huh...Billsfan and south Florida folks should be getting into the rain action now with that wave and into next week also as it moves into the gulf....well enjoy the LONG weekend everyone..have a great day!! Morning. The overnight Euro keeps Florence on a southern route. The GFS and CMC don't show this solution. We'll see what future runs say but I don't like this one, lol. too far off from one another, nor from the previous NHC forecast. StAugustineFL wrote: Morning. The overnight Euro keeps Florence on a southern route. The GFS and CMC don't show this solution. We'll see what future runs say but I don't like this one, lol. NWS Melbourne...DAYS TWO THROUGH SEVEN...SUNDAY THROUGH FRIDAY. water on roadways and in other poorly drained areas. Spotter activation is not anticipated today. miles west of the Cabo Verde Islands. the Gulf of Mexico during the early to middle part of next week. Happy Saturday all and hope everyone gets to enjoy a nice 3 day weekend to celebrate Labor Day! That Euro run is interesting compared to GFS and Canadian. Looks like Euro keeps Florence very weak and that ridge really builds on this run. The GFS and Canadian have stronger systems and not as strong of a ridge to the north. I don't normally wish for early strengthening but in this case it would be in Florida's best interest for Florence to beef up rapidly. She would have a better shot at a further north solution. sangria wrote: Happy Saturday all and hope everyone gets to enjoy a nice 3 day weekend to celebrate Labor Day! yes indeed we dont need her coming here. the main concern, mostly likely along the Gulf coast. Uggh Largo! Thankfully my area should be able to tolerate heavy rains, we’ve been on the dry side compared to everyone else. Still not positive that generator is in working order. If that wave clips you Bills, that would be great! A nice day of decent rainfall is needed in your area. And please everyone if you’ll share Levi’s videos daily, I can only find old ones when I look. And I’ve had and exhausting week with my Mom in hospital and both hubby and daughter are sick, and while I’m doing my best to ward it off, I fear it might be winning. BillsfaninSoFla wrote: And please everyone if you’ll share Levi’s videos daily, I can only find old ones when I look. And I’ve had and exhausting week with my Mom in hospital and both hubby and daughter are sick, and while I’m doing my best to ward it off, I fear it might be winning. eastern Gulf of Mexico late Sunday night through Tuesday morning. weather across the area from at least late Sunday through Tuesday. isolated tornadoes and waterspouts are possible. Spotter activation is not anticipated tonight. 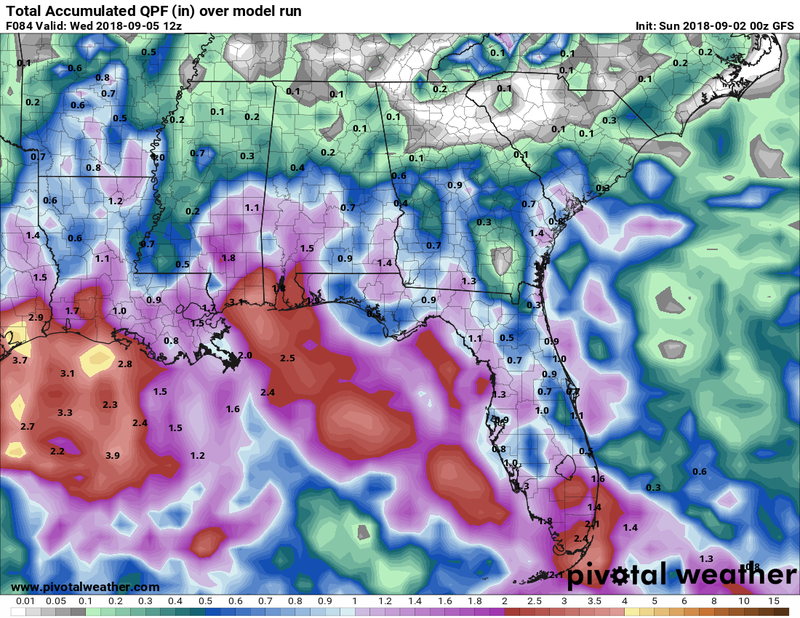 potential of heavy rainfall across South Florida on Labor Day. flooding is mostly likely to occur. ground lightning strikes and brief heavy downpours. of 45 mph or higher. of water in poorly drained areas. possible, along with periods of rough seas over the coastal waters. Good Saturday Morning folks! !..well it looks like a kinda big rain event may begin later today for southern florida, and especially tomorrow on till this wave passes into the gulf..it could be a 2-3 day event..well some area's down there could really use this heavy rainfall..well hope no one gets flooded out of their homes.....and for the rest of us?..have you liked this last weeks weather? good..it continues lol..........have a great day everyone. Morning. Hope your mom gets to feeling better soon bills along with hubby, daughter, and yourself. On the whole August was an average month rain-wise up here with 6.5" but it's been relatively dry the past 11 days with only .71". Hoping the rain chances in the coming days verify. September on average is the wettest month of the year in this area. BillsfaninSoFla wrote: Thank you Largo!! ok my friend..we'll keep up on the weather for you folks. StAugustineFL wrote: Morning. Hope your mom gets to feeling better soon bills along with hubby, daughter, and yourself. good morning Aug!! hope some of the rain reaches your area too. your local weather forecast office for more information. Gomey's area looks to get alot of rain from whatever becomes of the t-wave once it gets into the Gulf. The eastern Pacific is cranking out some storms this year. 15 already. The link worked Largo. If you want the vid to visually appear in the comments section like san posted yesterday copy the YouTube link then come to our comments section. click "YouTube" above where you would type your text, paste the link in the URL field, then send. Bring it on! I've enjoyed the last two weeks in my neck of the woods! 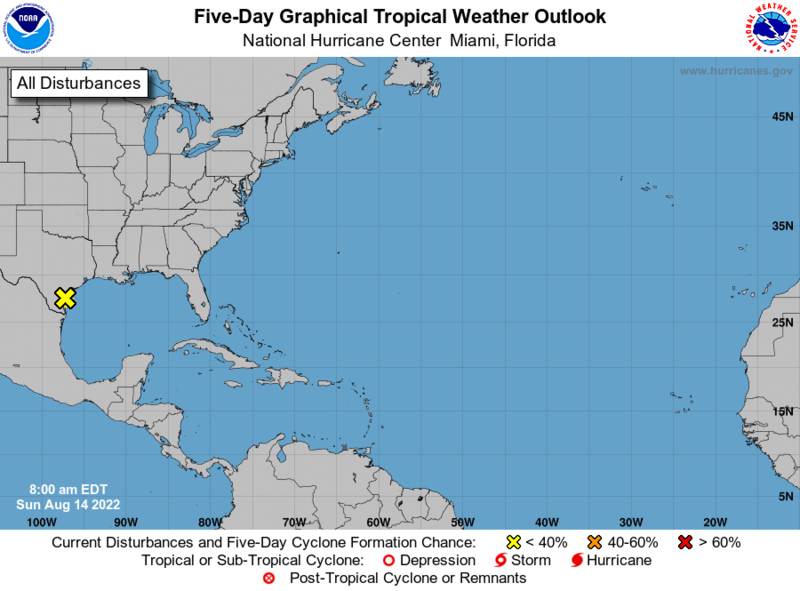 StAugustineFL wrote: The eastern Pacific is cranking out some storms this year. 15 already. 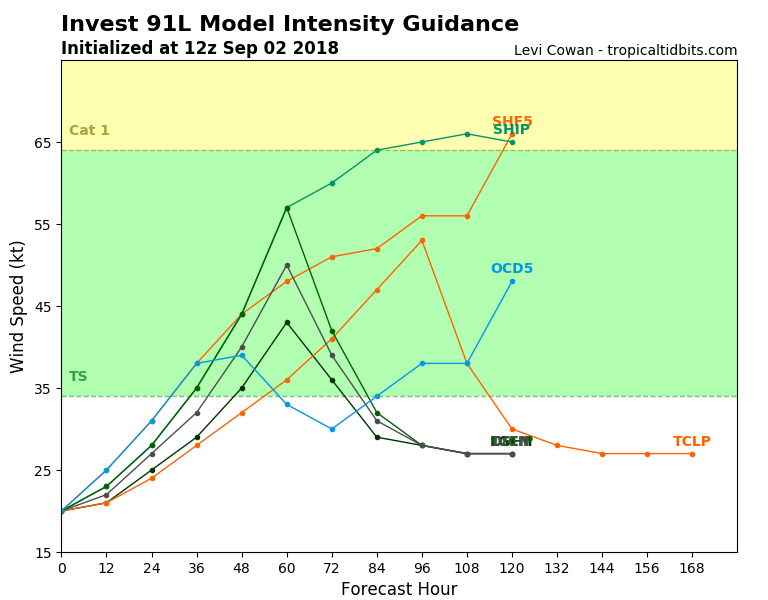 No real changes in models overnight. We'll have to wait and see how strong/weak Florence gets before having a good idea of where she will go. 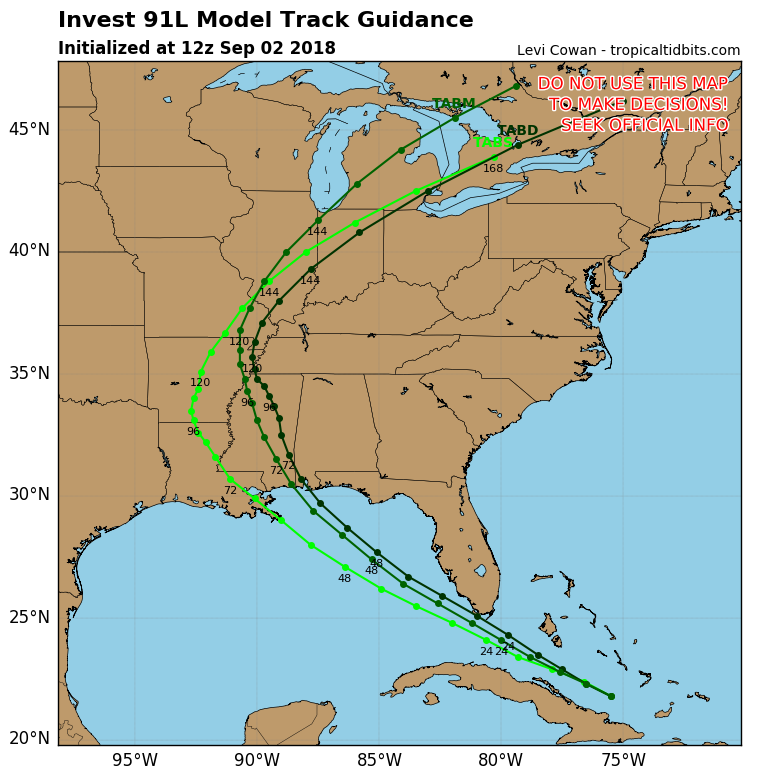 Looks like some diversion between models also for the wave that will move into the GOM. 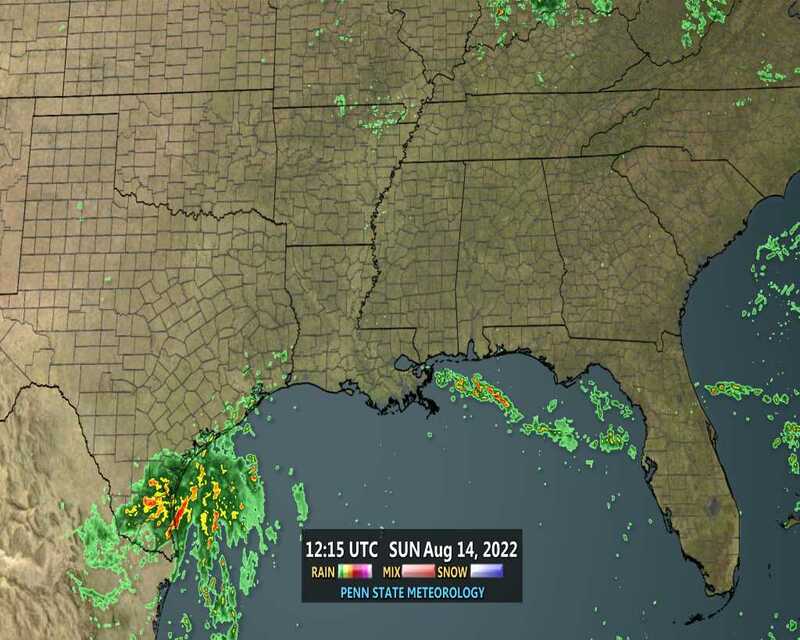 Regardless, I hope it stays far enough east to bring the west coast of FL more rain!!! scattered thunderstorms spreading northwest during the day. IM wondering if we around tampa Bay area will get in on that possible 2-4 inches of rain? Invest 91L tagged for the t-wave. LargoFL wrote: IM wondering if we around tampa Bay area will get in on that possible 2-4 inches of rain? Largo - there's been a child abduction in Pinellas. Little boy last seen in Largo. This is why the weather world frustrates me (or perhaps I'm an idiot). Anyone have thoughts? See the bold highlights. This is for the same reporting station (Jax Airport). likely lead to widespread flooding issues. in which temperatures were at or below freezing. precipitation records during the month. I'm going to email the NWS as I'm really interested to hear what they have to say about this. StAugustineFL wrote: Largo - there's been a child abduction in Pinellas. Little boy last seen in Largo.